The cardboard palm is one of the oldest trees in the world, having survived virtually unchanged since the time of the dinosaurs. Cardboard palms grow well in hardiness zones 9 through 11 but do not do well in temperatures below 28 degrees F. It is possible to grow a cardboard palm in an indoor container, so even homeowners in colder climates can enjoy this unique plant. 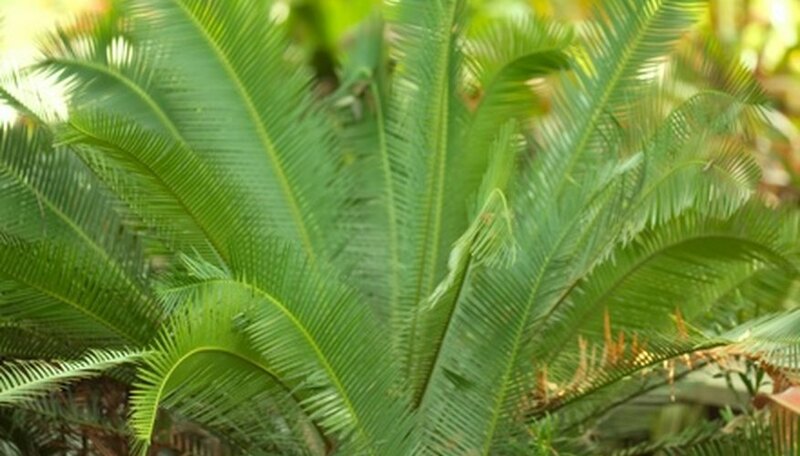 Though the cardboard palm looks like a palm tree, it is actually part of a group of plants called a cycad. Cardboard palms are propagated by seeds. Collect the small red seeds of the cardboard palm from an open cone on a female plant. Put the seeds in a plastic baggie to keep them fresh. Soak the seeds in a bowl of water for 4 hours, then carefully rub off the red coating from the seeds between your thumb and forefinger. Place the cleaned seeds on a paper towel. Choose a sunny, well-drained location in your garden. Loosen the soil with a spade and mix potting soil with the garden soil until you have approximately a 50/50 mixture. Break up any dirt clods. Plant the cardboard palm seeds 1/4 inch deep and cover with soil. Pat the soil down lightly. Plant seeds approximately 8 feet apart, as cardboard palms can eventually reach 6 feet in diameter. Water the seeds with a sprinkler and keep the ground slightly damp but not soggy for several months. The cardboard palm is slow to sprout and could take as long as 3 to 4 months to sprout. Do not eat the seeds or allow your animals (especially dogs) to eat the seeds, as they are poisonous.